So you’re looking to catify your home, but you can’t bear the thought of putting one of those ugly carpeted cat tree monstrosities in the middle of your living room. You are definitely not alone. 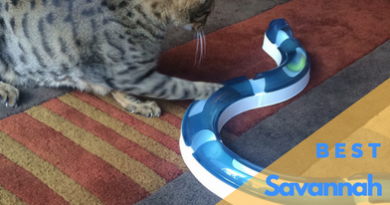 Thankfully, we now have some options that will make both you and your kitty happy. 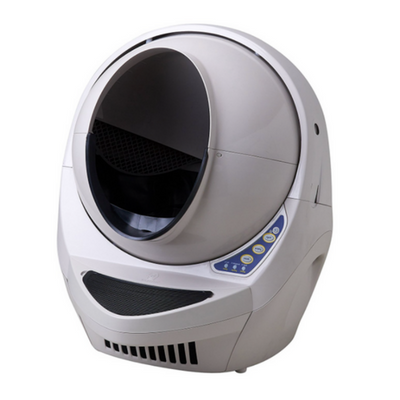 Over the past decade, pet furniture manufacturers have begun designing cat furniture to be appealing to people as well as cats. In the past you really only had two options as a cat owner. Buy an ugly cat tree and sacrifice your dignity and respect of non-cat people. 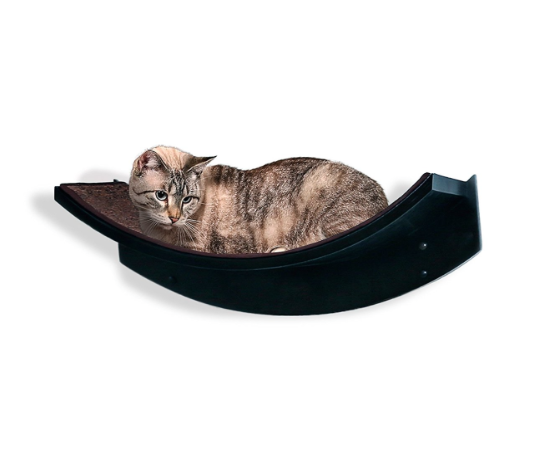 Or deny your kitty this personalized sanctuary and watch as they turn your home into a jungle gym. 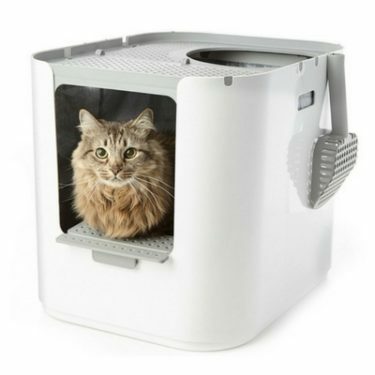 Modern Cat Furniture is making it possible for cats and cat-owners to find compromise. The market for modern cat furniture is quickly gaining in popularity. Right now there are only a few recognizable brands out there that are dominating this fledgling market. 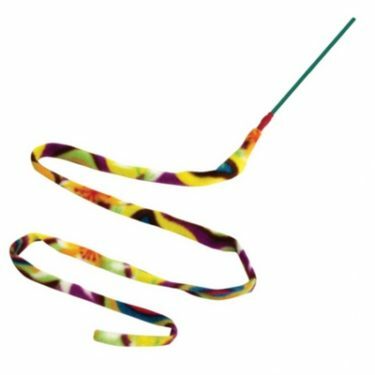 As a result of the high demand and low supply for these products, manufacturers are able to charge a premium. 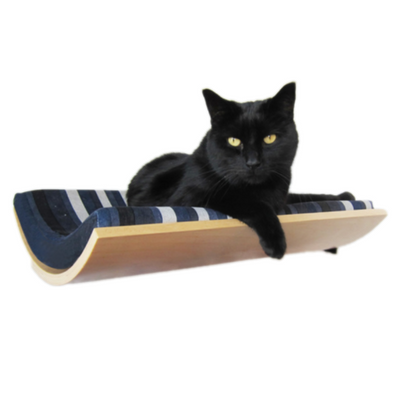 The Refined Feline: This company has been making beautiful modern cat furniture since 2010. 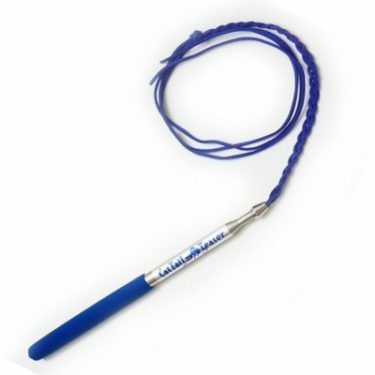 They have the highest rated products on the market and are known for their superior quality. 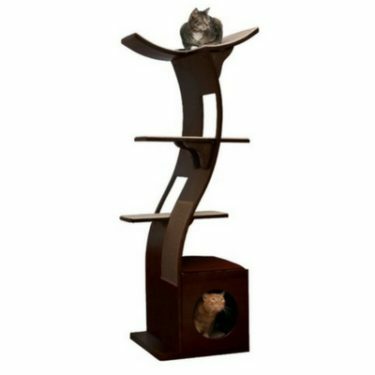 Designer Pet Products: As their name implies, this company specializes in making a wide range of cat trees and shelves that will blend in with the rest of your designer furniture. 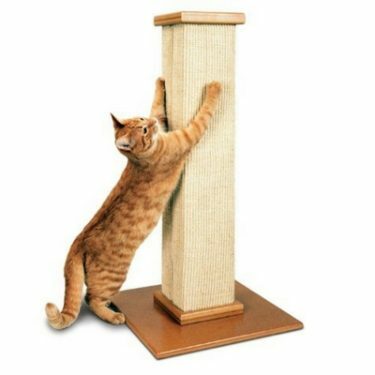 PetFusion: This company specializes in making artistically-designed, yet functional scratching posts. They also have a cat tree on the market that was endorsed by Jackson Galaxy. 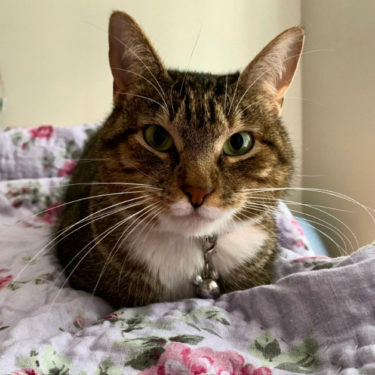 Vesper: A newcomer to the cat furniture market, Vesper has become a huge hit thanks to their attractive cat tree designs at a very reasonable price. 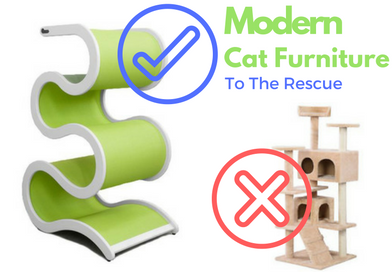 I know the temptation to get rid of that hideous carpet thing can be great, but before you fork over several hundred dollars for a new modern cat tree, check out our reviews to ensure you’re getting a quality product. 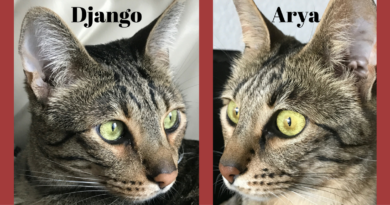 Several products have received dismal ratings when it comes to quality and overall functionality for cats. So don’t lose sight of your main customer (your cat) during the shopping process. 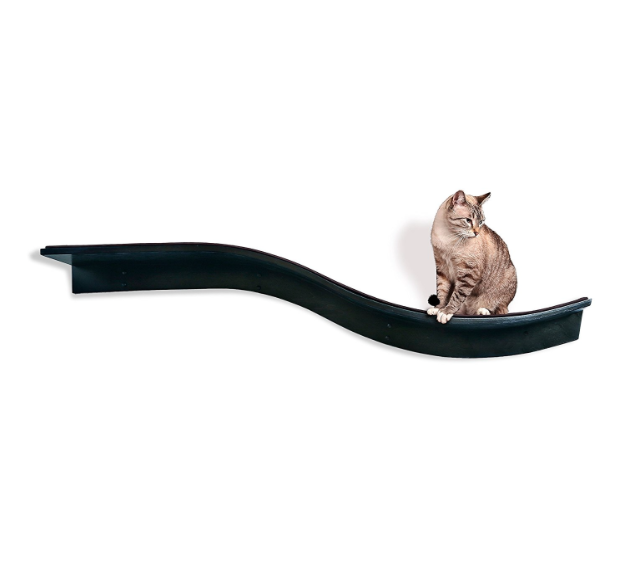 Our top rated products for modern pet furniture are both visually appealing and extremely popular among cats. In time the popularity of these products should drive more competition into this market. And more competition will be beneficial for consumers. 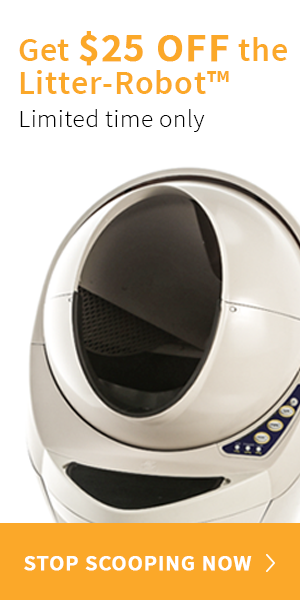 We expect quality and functionality will improve over time and the price should come down. 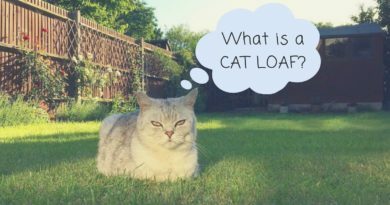 If you’re ready to catify your home in style, you’ve got more to worry about than just the cat furniture! 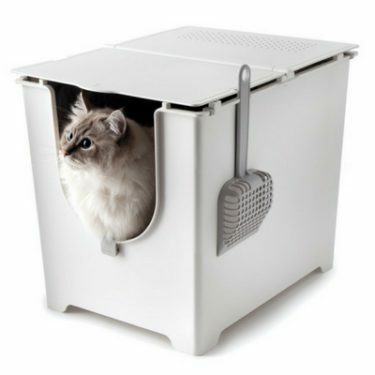 Check out our Top Modern Cat Products to get ideas for cool litter boxes, and fashionable fountains and feeders.